Smartphone Fanatics: Ya, I Wish! 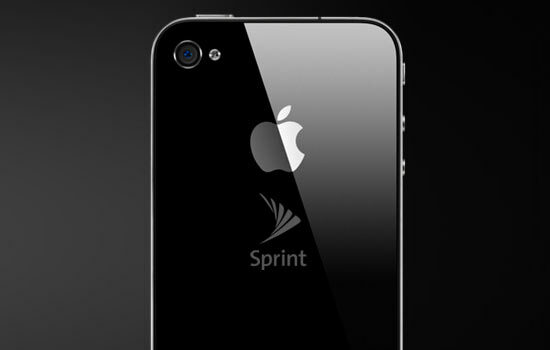 Unfortunately, Sprint isn't working with Apple to bring the iPhone to the Now Network; at least that we know of. For now, this modified photo of the iPhone will have to do. And while we're waiting, check out some of the Sprint buy out/merger ideas that 9To5Mac.com has up on their site today. Are you still on Sprint? I think you had an iPod Touch didn't you? What phone do you use these days? I have an iPhone 4 and recently got my first webOS device, a Palm Pre 2. I'm in Australia, so hoping that the paid app catalog makes it's way down here soon. WebOS is really good, but I'd like access to more apps. I am being optimistic that HP will want a worldwide release of the TouchPad, Veer and Pre 3, so hoping that means that the apps become available then. I listened to a podcast that you did recently (think it was December). Are you planning on doing any more? I'm still under contract with Sprint until June, 2011, which is really only a few weeks away. I have the iPhone 2G (no cell service), a G1 iPod touch, and my iPad 1. I like webOS, but I'm going to be switching over to the iPhone 5 when it launches on Verizon. I hope HP gets their act together with webOS and the App Cat soon. I did record two new podcasts back in December. I really enjoy doing them and I'm glad that people will still "tune in" to listen to them. Unfortunately, I just don't have the time to dedicate doing shows on a regular basis because of the personal and professional things that are going on in my life right now. I'd love to get back it someday, but I just don't see it happening right now without a dramatic change. The iPhone 5 will be a big upgrade from the iPhone 2G. I am carrying around the two phones at the moment (iPhone 4 and Pre 2). WebOS is really good, but I still can't drop the iPhone. The iPhone syncs with iTunes 2 ways, meaning that podcasts that I listen to are reflected back in iTunes and then removed at the next sync. Also, the number of apps available for the iPhone, remembering that I don't have access to the paid app catalog for webOS (yet? ), is much larger. HP really need to get this sorted for us international folk. I think that doing this will help webOS gain more momentum. I am out of contract in June, so think I will also get iPhone 5 when it arrives....since I can get it at a reduced price in a contract. However, I am also considering getting the Pre 3, but that may depend on whether the paid app catalog becomes available here or not. My main sim and data plan are in the iPhone 4, but I have a sim in the Pre 2 as well with less data. I have ordered a micro sim to sim converter so as I can swap the iPhone sim into the Pre 2. I can see myself swapping back and forth as desired. Although, I can also use either as a wifi hotspot for the other. The sims that I have (Optus and Telstra) both offer this for free. I can understand you wanting to do the podcasts, but being too busy. Sounds like myself and app development. I have some ideas that I am trying to implement but it is taking me a long time and probably too big of a task for just myself with the limited time I have.